a unit with a long history, it is the naval headquarters and a base for frontline training unit, but also hosts many events requiring music ranging from jazz to classical, for those connected with. this is the village hall for a small town with many Georgian houses, which take on a mellow aura in evening sunlight. Wickham was the birthplace in 1324 of William of Wyke-ham. Chancellor of England and the founder of Winchester College and of New College, Oxford (thanks for building the college, we have had people hiring jazz bands, string quartets and ceilidh bands many the Oxford colleges, so good on you mate). About 500 years later the mill by the bridge was built from timbers taken from the American frigate Chesapeake, captured in 1813. To the east lies the Forest of Bere. it certainly all happens in Fareham. Is quite interesting when people book one of our bands for a place that I have some connection knowledge of. Chichester is an absolutely beautiful location, and when holidaying in the area or visiting friends, I've had many delightful walks. It sits on a plain of rich farmland between the shining creeks, green islands and salt flats of Chichester Harbour, one of the largest semi-enclosed areas of tidal water in southern England, and the western rampart of the South Downs—the 'blunt, bow-headed, whale-backed Downs', as Rudyard Kipling described them. The downs of West Sussex, heavily wooded, come within a few miles of Chichester. Hidden in their folds are little churches, many dating from the i2th and ijth centuries, and tiny villages with houses of flint, half-timbered brickwork and thatch. Many of the villages grew up under the protective wing of great estates such as Goodwood, which preserve large stretches of unspoilt downland countryside. The area is rich in history. The downs are crisscrossed by ancient trackways, fine country today for walkers and horsemen. The South Downs Way runs along the downs north of Chichester at the start of its 8o-mile course eastwards across four river valleys to Beachy Head. Chichester was already the site of an important settlement when the Romans arrived in AD 43 and made Cogidubnus, the reigning local king, their viceroy. The site of what may have been his palace is still being unearthed at Fishbourne. Four centuries later the Saxons encountered little resistance in this area; attractive seaside and downland villages like West Wittering and the Hartings preserve the Saxon suffix of -mg, meaning 'the people of. the hall, built in the 1920s as a memorial to those who died in the First World War, is not the most beautiful of buildings, but as a style of that period, and inside is in fact excellent for music and dancing, whether a function band or barn dance band. and quite possibly on other occasions. 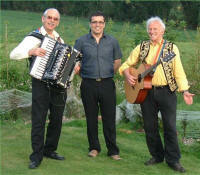 Was down here are just a few of the bookings that we have taken for our music groups. If we included all bookings that we had ever taken, it would become ridiculously long list. licensed for civil weddings and partnerships, this ancient barn with stone walls on the interior and beamed ceiling has great acoustics, whether for solo pianist, as in this case, a string quartet, jazz band or ceilidh. Open spaces like this in buildings with good acoustics (i.e. hard floors and walls to reflect sound,) are very best of the dancing and music. West Dean itself is a charming downland village, with flint and half-timbered houses. It lies in the valley of the River Lavant, and has a park of beeches, horse chestnuts and elms, and a botanical garden of azaleas, magnolias and rhododendrons. At Singleton, to the east east, is the Weald and Downland Open Museum, an open-air exhibition of ancient wooden buildings transferred from their original sites. this is located on the Goodwood motor circuit and Goodwood Aerodrome. this hotel, set within a 12,000 acre estate (rather big garden) but only caters for weddings and civil partnerships, being on the Goodwood estate is connected with motorsport, horseracing, flying, golf, shooting and cricket. I guess hiring a barn dance band for wedding is just one of many possibilities. The site of the modern town of Chichester was a settlement of the Regni tribe before the Romans built their new town of Novio-magus there. After the Romans left, the Saxon chieftain Aella gave the ruined city to his son Cissa, who called it after himself—Cissa's Ceaster or Castle. Viewed from any high point on the downs, Chichester is set amid -fields, coloured woods, glimmering salt marshes and stippled harbour waters, with the thin cathedral spire pointing like a sword to heaven. The cathedral, begun c. 1091 by Bishop Ralph, the Norman, has a nave of soaring beauty. There is a magnificent window in the south transept, and the graceful, tapering spire, 277 ft high, dominates the West Sussex coastal plain. There are noble streets and homely corners of history in the town, a ijth-century market cross, some fine Georgian houses and long stretches of the original Roman wall. this has a large open hall, including a small stage at one end of the performers, which is always nice to have. The town is one of the major Roman relics in Britain lies just west of Chichester, on a well-signposted side road. Excavations have disclosed an important Roman palace occupied during the 2nd and 3rd centuries AD, during the peak period of the Roman occupation; it may have originally been the palace of Cogidubnus, the Briton made viceroy by the Romans. Sections of the walls, baths and heating system are visible, but the most memorable feature of the palace is its superb mosaic floors. One intricate panel, 17 ft square, has as its central medallion a winged boy astride a dolphin. There is an adjoining museum devoted to the history of the site and an imaginative portrayal of life in Roman Britain. dating from 1782, high ceilings, polished wooden floor and large open floor space (something like 18 x 9 m, with small stage at one end, makes it an ideal place for a country dance. because all is full of character, with its dark beams on a white ceiling, best work walls and carved window surrounds. Being part of Chichester Cathedral, then it will be a well used having music played in and around it over the centuries. The wedding ceremony held in the cathedral, perhaps the cathedral organ, or perhaps with a string quartet playing for the processional, signing the register and recessional, it is but a short walk to the location for the reception. This makes it very easy for the string quartet to move location, ready to play as bride, groom and guests make their entrance. Portsmouth has been inseparably connected with Britain's days of naval greatness. Today the warships are more thinly scattered in Portsmouth's 30O-acre dockyard. Many of them are reserve ships of the Home Fleet kept in 'mothballs', but the whole area remains a key part of Britain's defence network. The historic dockyard, with the victory and other historic naval vessels has been the location for a number of musical performances by our ensemble. Ports Down, the long ridge backing Portsmouth to the north, looks down on a vast conglomeration of airfields, barracks and training bases, stretching for 7 miles from the air base at Lee-on-the-Solent to the Royal Marine barracks at Kastney. The view has changed considerably over the years, with the building of the marina and the land reclamation around that area. We've always had a number of jazz bands and string quartets in the Portsmouth area as a result of retired military bands men, always of the highest quality. Inland, behind Ports Down, lie small villages in the much-diminished Forest of Bere, which is crossed hy main roads but preserves patches of woodland and is bordered to the north by the green pastures of the Meon Valley. Traffic on the busy A32 thunders through the streets of many of the Meon villages; but at Corhampton an attractive minor road crosses the river and runs downstream for 5 miles. a very striking, black wood, modernistic barn conversion style of building, it can house a large gathering, beard birthday or wedding, with dancing amply available. A village of the Selsey peninsula, with a 14th-century church. There is a group of thatched flint barns at Marsh Farm, near the beach, and an old windmill at nearby Somerley. Offshore, low spring tides in Bracklesham Bay disclose unusual deposits of slate-coloured clays known as the Bracklesham Beds. A former fishing village, tastefully developed into a small high-class residential and holiday resort. There are good modern houses and well-converted cottages, plenty of trees, and the remains of Cakeham Manor, once a palace of the Bishops of Chichester. East Wittering, near by, is a bungalow and chalet seaside village with sand at low tide. The South Saxons landed at Selsey in AD 477. So did St Wilfrid, when he arrived in Au68i to convert the Saxons to Christianity. He established a monastery, which later became a cathedral; its site is now submerged. Roman and early British coins have been found on the beach. From Selsey Bill, the southernmost point in Sussex, there arc good views of the coast and across to the Isle of Wight. this is a grand terrace hotel, complete with columns and iron work on the balconies. at the west end of the village of Carisbrooke, a lane climbs southwards to the downs and to an old Roman road leading to Shorwell, 4 miles away. The court itself is a large and imposing Jacobean manor house, built in 1615 on the side of the monastery building. Music was an important part of the life of many monastic orders, so there's always been a connection with music on this site. by Henry VIII, and its 22 brass guns stand ready on Victoria Parade to start races and fire Royal Salutes. There is a good walk westwards past the castle to Egypt Point and the beginning of Gurnard Bay. East Cowes is the cradle and headquarters of the hovercraft industry of today. Osborne House, i mile south-east, was Queen Victoria's home at the time of her death in IQOI . Prince Albert and Thomas Cubitt together designed it as an Italian villa. Visitors can see the state and private apartments, furnished as they were in Queen Victoria's time. In the Swiss Cottage, a play house built for the Royal children, are the queen's writing-table and her personal collection of porcelain. Nearby is Norris Castle, where the young Princess Victoria frequently stayed with her mother. this is a typical grand styled south coast hotel, white painted with wrought iron balconies. It is building very familiar to my wife, who in her younger days was a lifeguard on the beach in Southsea. She is to quite happily dive into the sea, even in October, crazy woman. You wouldn't get doing that nowadays! entertainment, hospitals, and music don't normally go together, but it does here. Actually that is not quite correct. For some years now has been a move to provide musical entertainment in hospitals and old people's homes, and quite a number of musicians to solo performances such venues. However this quite different from the entertainments Hall here. Three of the seaport's four most famous 'ships' are the names of shore bases and will never go to sea. At Whale Island, is HMS Excellent, the Royal Navy's principal gunnery school. By Portsmouth Hard is H.MS Vernon, the headquarters of torpedo experts. Across the harbour at Gosport is HMS Dolphin, a major submarine base. And in Portsmouth Naval Base itself, among sheds of red brick and concrete, stands HMS Victory, launched in 1765 and Nelson's flagship at the BaWe of Trafalgar in 1805. The city was badly damaged by bombing in the Second World War, though the cathedral preserves its 12th-century transepts and chancel. The Square Tower in the High Street dates from the time of Henry VII, and the Round Tower from 1417. Charles Dickens was born in a house in Commercial Road, now a museum. Buckingham House was the scene of the murder in 1628 of the first Duke of Buckingham, favourite of James I and Charles I; he was stabbed by a discontented soldier while planning an expedition to relieve French Huguenots besieged at La Rochelle by Cardinal Richelieu. At Portchester, on the north side of Portsmouth Harbour, are the remains of the castle which Henry II built inside the walls of a Roman fort 1000 years older. Henry V marshalled his forces here for the victorious expedition to Agincourt in 1415. Behind Portchester, the slopes of Ports Down present a good viewpoint for the whole of Portsmouth Harbour, the Solent and Spithead. On the down are four ruined forts and a monument to Lord Nelson, inscribed with tributes to Britain's most famous fighting admiral. refurbished in 2015, the hall has columns that support surrounding upper balcony, the old style of such buildings. 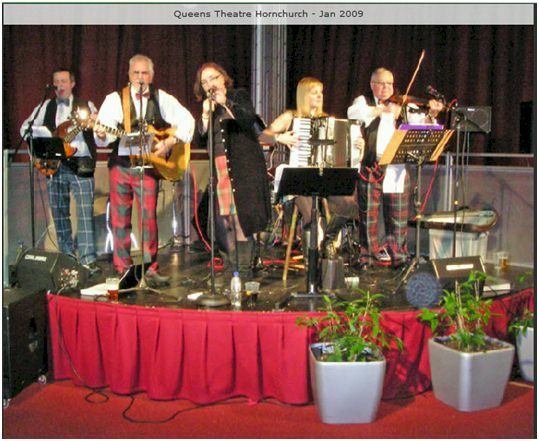 It gives a very large open area for a barn dance or ceilidh, which is great, and guest tables can be placed on the balcony behind the columns, with the dances band are feeling really adventurous, they could even dance around the columns, just to make it a bit more exciting. With my own ceilidh band, I have a number of occasions performed in venues that have columns, sometimes in the very middle of the dancefloor, and sometimes metal stanchions as on the HMS Great Britain in Bristol. The caller has to be very inventive in the modifications of the dancers to suit the dancers have to be careful not to knock themselves out, but it all adds to the fun and vilification. a museum dedicated to the Royal Marines may not be where weddings and civil ceremonies would immediately spring to mind, but it is a major wedding venue, with imposing buildings and beautiful all. It's licensed for civil ceremonies, civil partnerships and the renewal of vows, and has the flexibility within its buildings to host small intimate service or grand event with well over 200 guests. Such a venue cries out for a string quartet for the ceremony and reception and a jazz band, or as in this case, a ceilidh band for the evening entertainment. this a family pub located atop a flight of stairs. It regularly hosts live entertainment and has a seller function room. The resort adjoining Portsmouth has a good sand-and-shingle beach and a wide range of holiday amusements. A military museum on the site of the i6th-century artillery fort, Southsea Castle, tells the history of the numerous fortifications in the area. Far out to sea from Southsea is a curious object called Nab Tower. This was originally a submarine detection station, but is now a signal point and marker for ships coming into Spithead. Southsea is a good starting point for a walk round Old Portsmouth to the west of the more modern town. if you a go here, remember that the locals pronounce it cos ham and not cosh ham. an enormous modern block with shiny metal cladding, this luxury hotel with spa facilities is very noticeable as one passes Port Solent and heads off to Portsmouth Island. this venue, beautiful grounds including late, regularly hosts weddings and birthday parties as well as ward ceremonies and charity dinners, in its large function room. Again, the function room has columns down one side by the windows, which if mixed up with a ceilidh can provide a certain interest! if I remember correctly, the church is a delightful flint faced building, with the hall, capable of seating up to hundred and twenty people, having windows and roof along one side giving plenty of light. wow! This is someplace. The house and gardens, part of the 1800 acre estate, is agreed to listed Edwardian building. Not only does it perform civil wedding ceremonies and partnerships, but it has its own chapel. Though the town of Basingstoke is the focal point of numerous main roads, a bypass lets through traffic avoid its busy centre. a beautifully modernised barn with horizontal black painted planking. The interior, as most barns, is open and large and ideal for anything from a function band, as in this case, to a barn dance or ceilidh. this venue accommodates weddings within the house and in marquees in the extensive gardens.